A lot of the “pain” caused by the government shutdown is phony. The Obama liberals: were going to stop the Army/Navy game until it was revealed that it was all “optics.” They blocked off an open air WWII monument to hurt veterans. Obama is deliberately trying to tank the stock market. Along those same lines, they’re also trying to shut down parks in Wisconsin, but Scott Walker isn’t having it. The park service ordered state officials to close the northern unit of the Kettle Moraine, Devil’s Lake, and Interstate state parks and the state-owned portion of the Horicon Marsh, but state authorities rebuffed the request because the lion’s share of the funding came from state, not federal coffers.
. . . in a sign of defiance, the DNR removed the barricades at the landing, saying it had the legal authority to operate the launch under a 1961 agreement with the federal government. 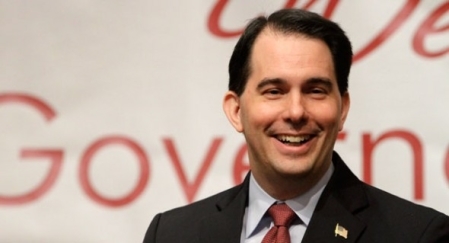 There are a lot of Republicans in D.C. who could learn from Scott Walker. He talks quietly, but when it’s time to move, he pulls out a big stick and starts swinging.